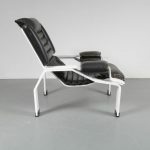 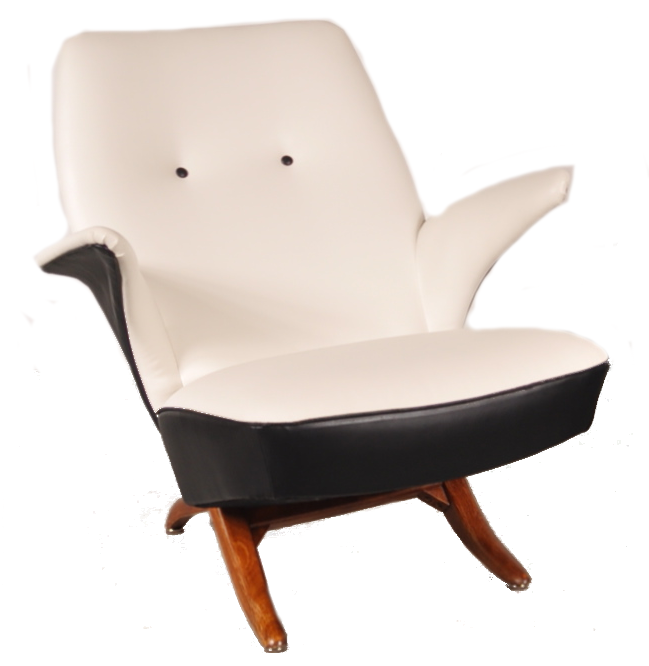 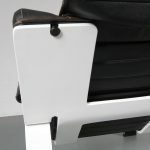 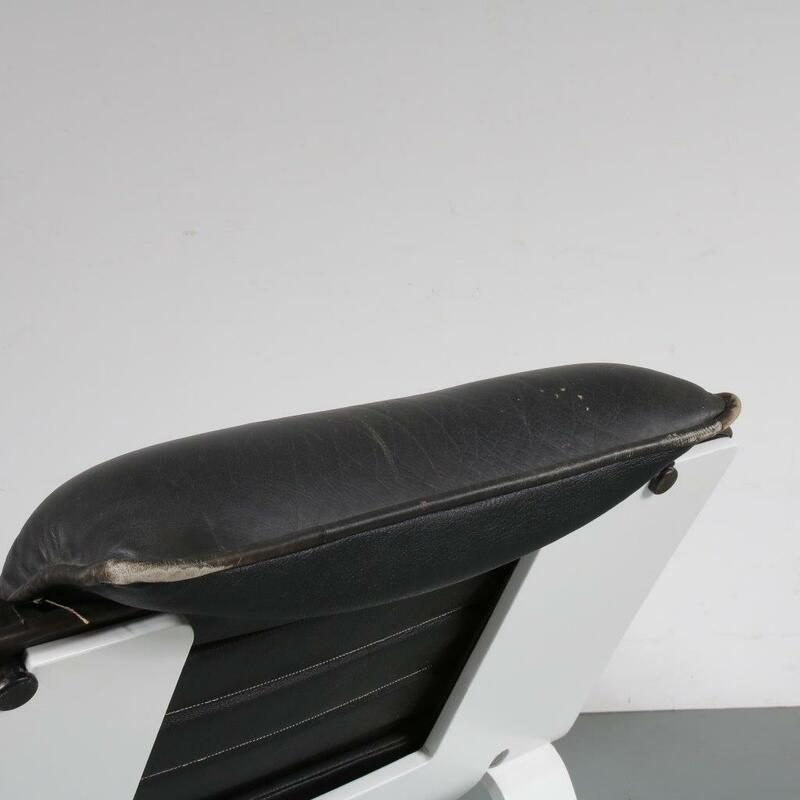 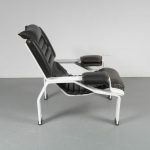 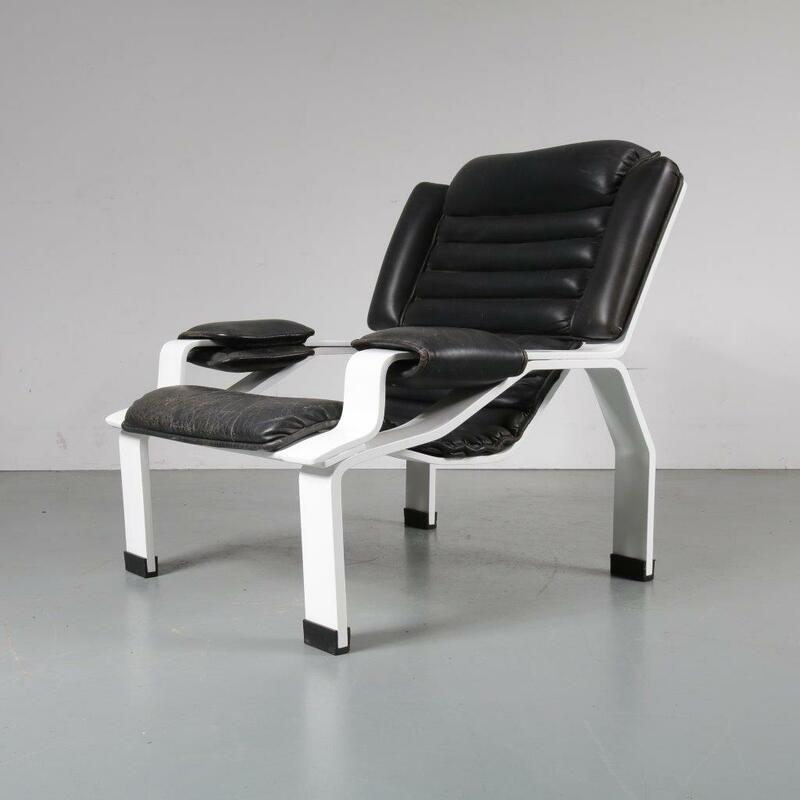 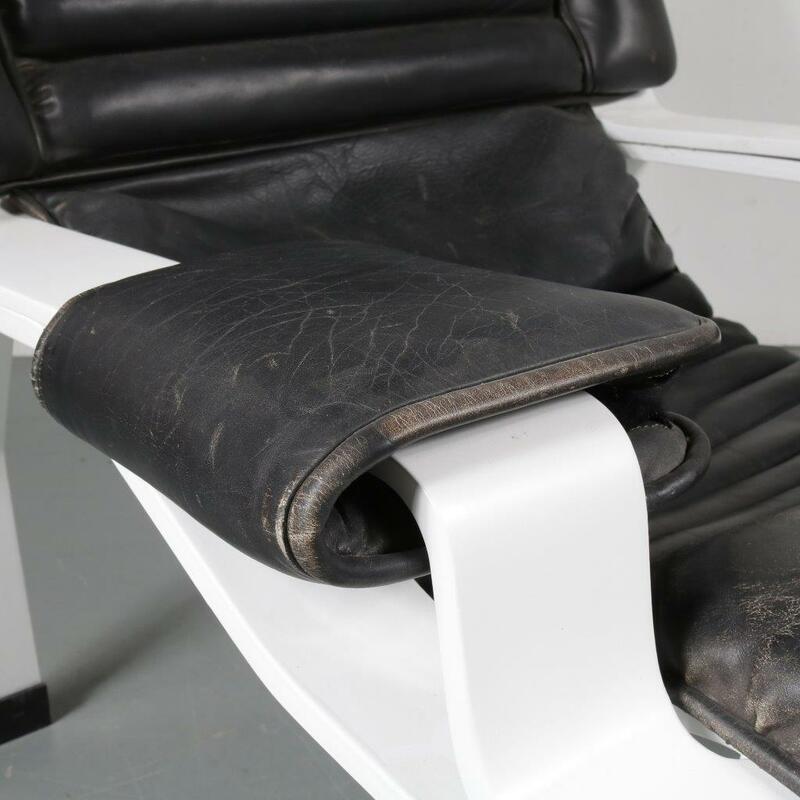 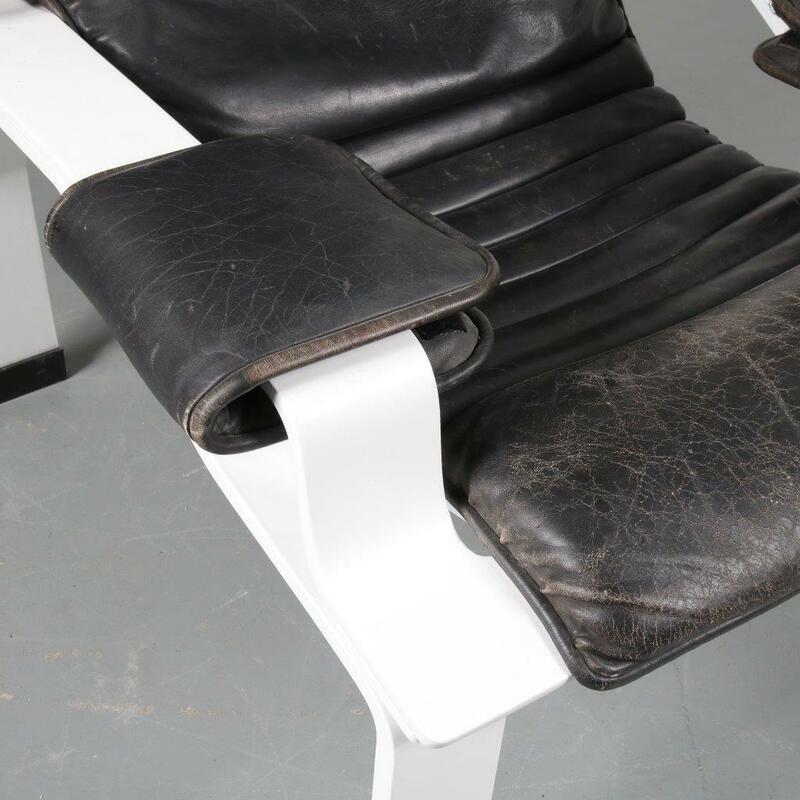 This unique easy chair is a very rare piece of Italian design! 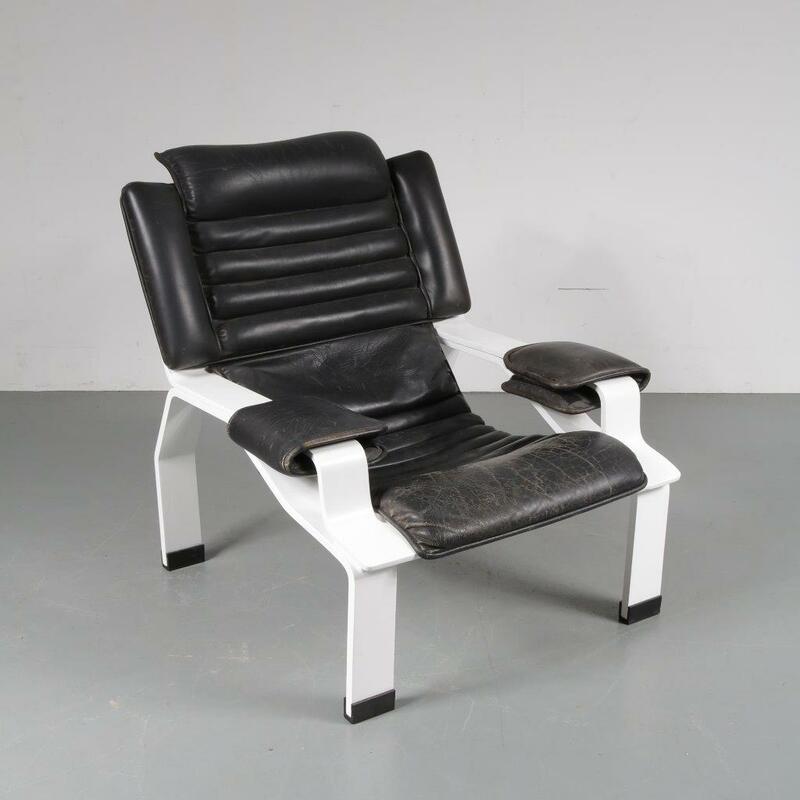 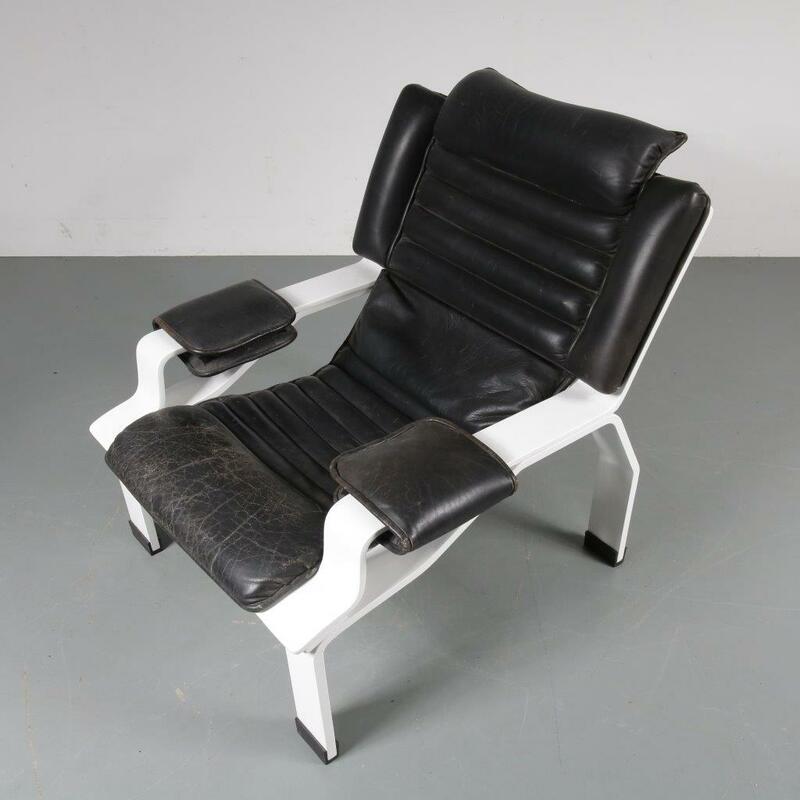 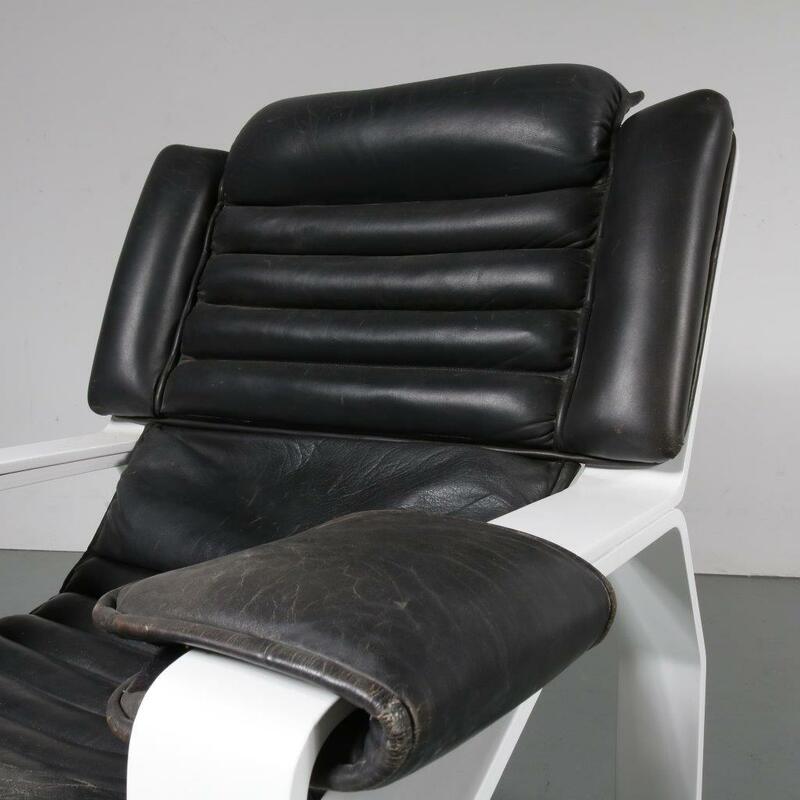 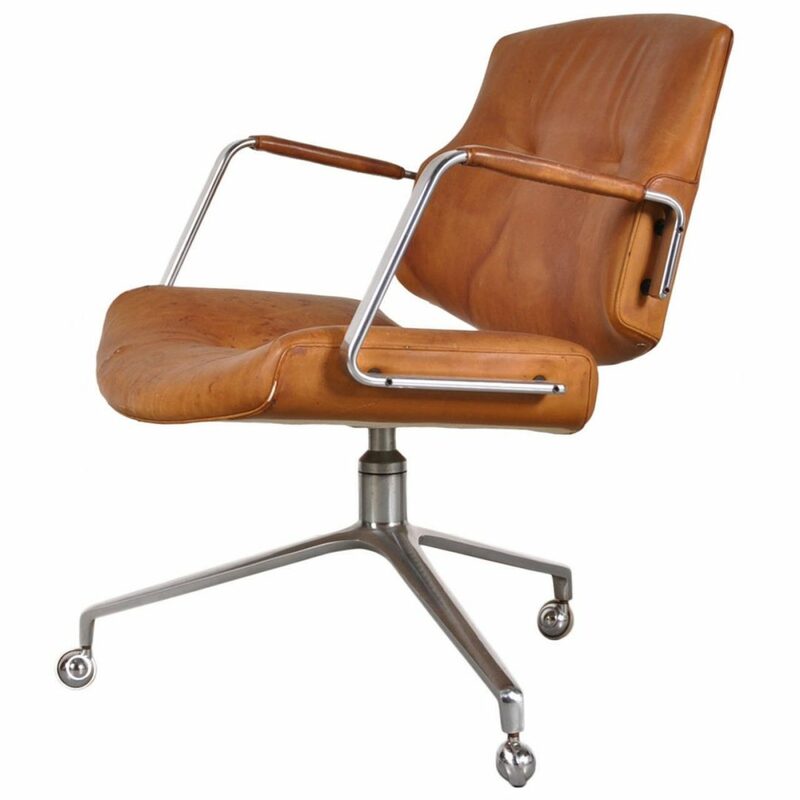 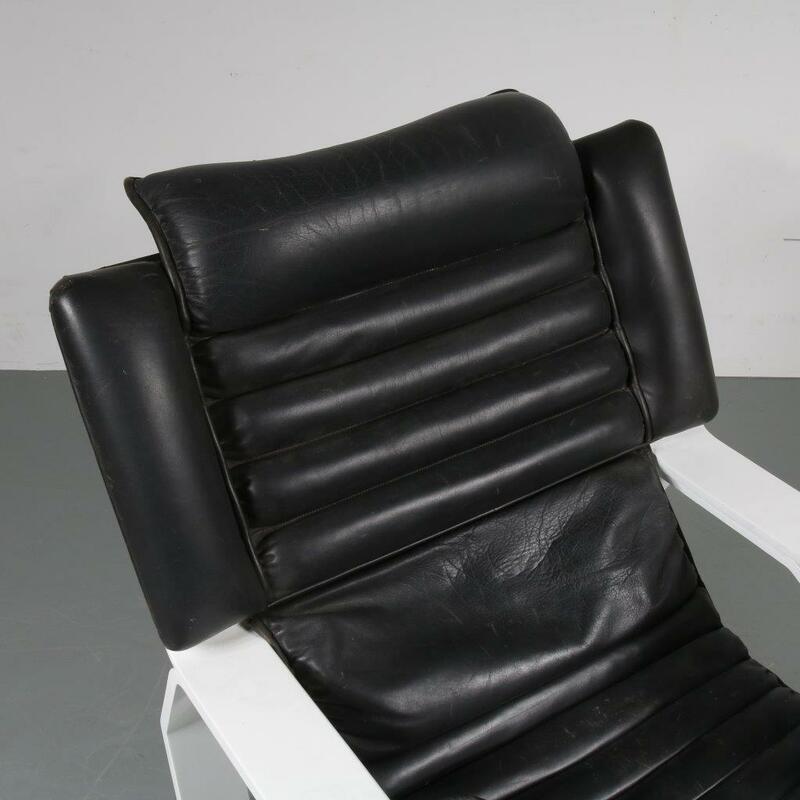 It’s the earliest edition of the “Superleggera” chair, designed by famously innovative designer Joe Colombo. 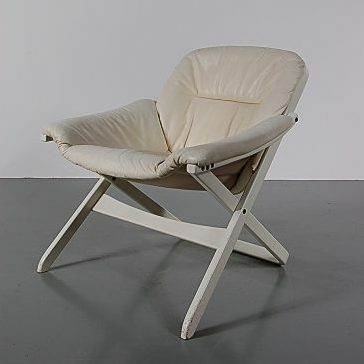 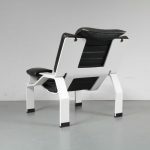 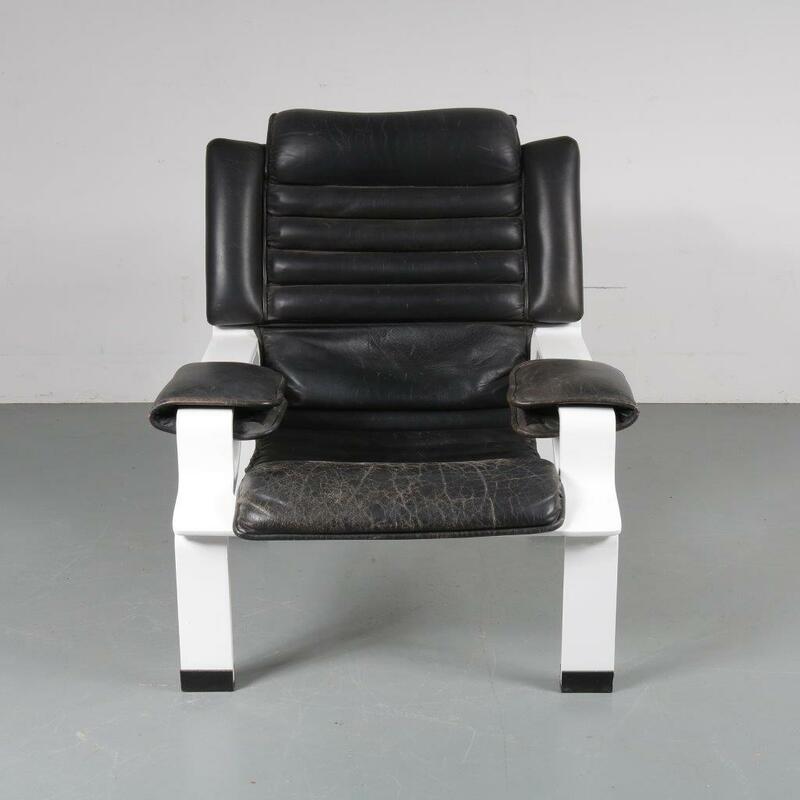 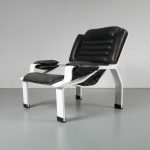 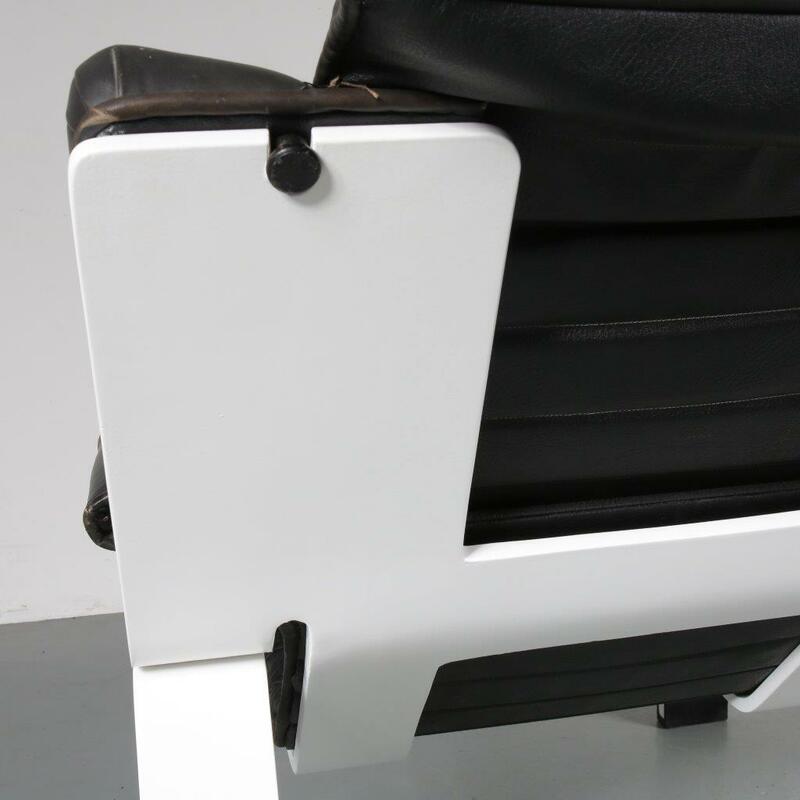 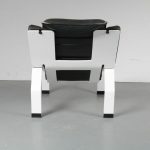 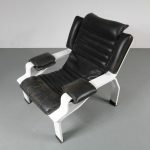 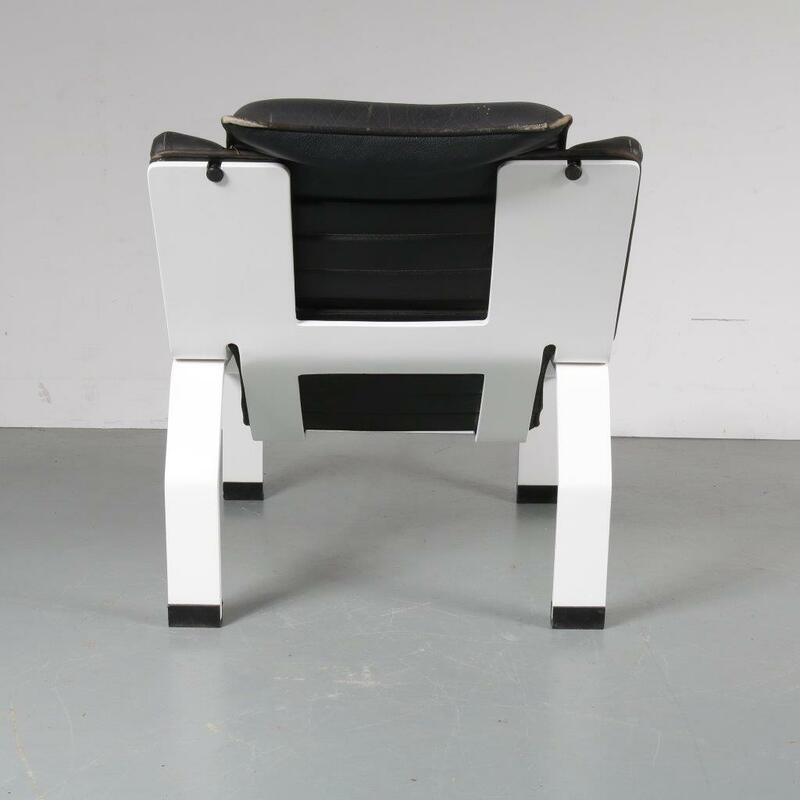 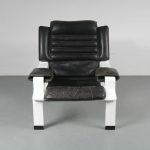 The chair was later produced in metal, but this early edition is made of high quality white painted plywood. 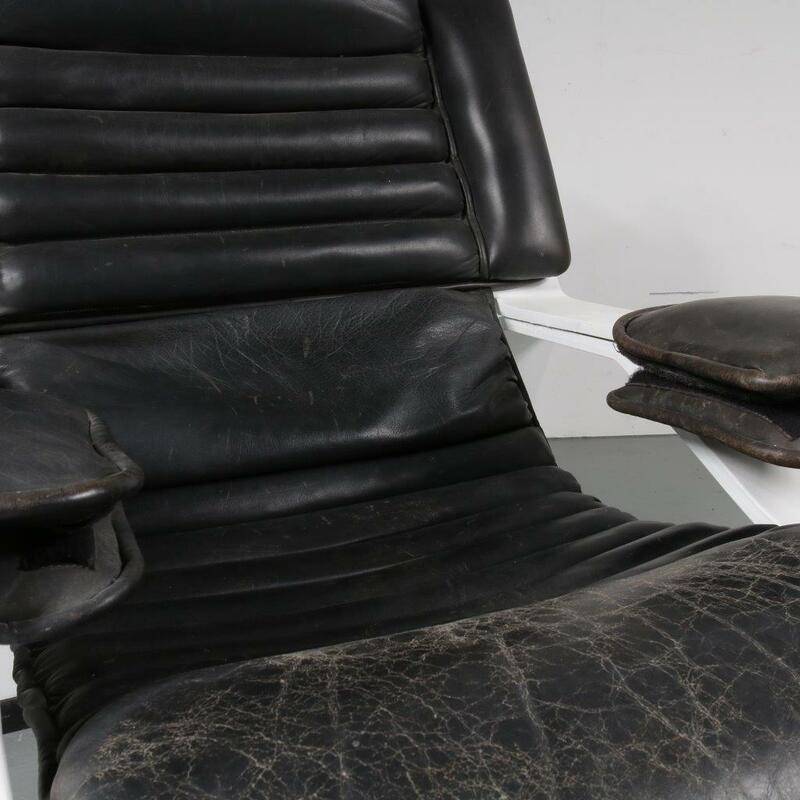 The black leather upholstery to the seat, back and armrests creates a beautiful contrast and very nice comfort. 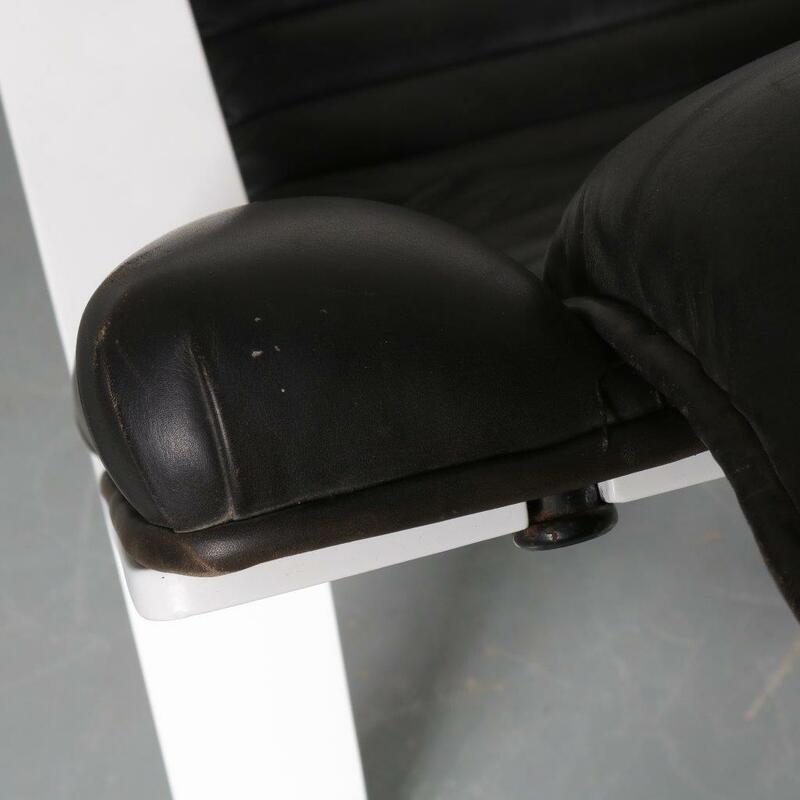 The frame has been professionaly restored and repainted, the foam in the upholstery needs to be renewed. 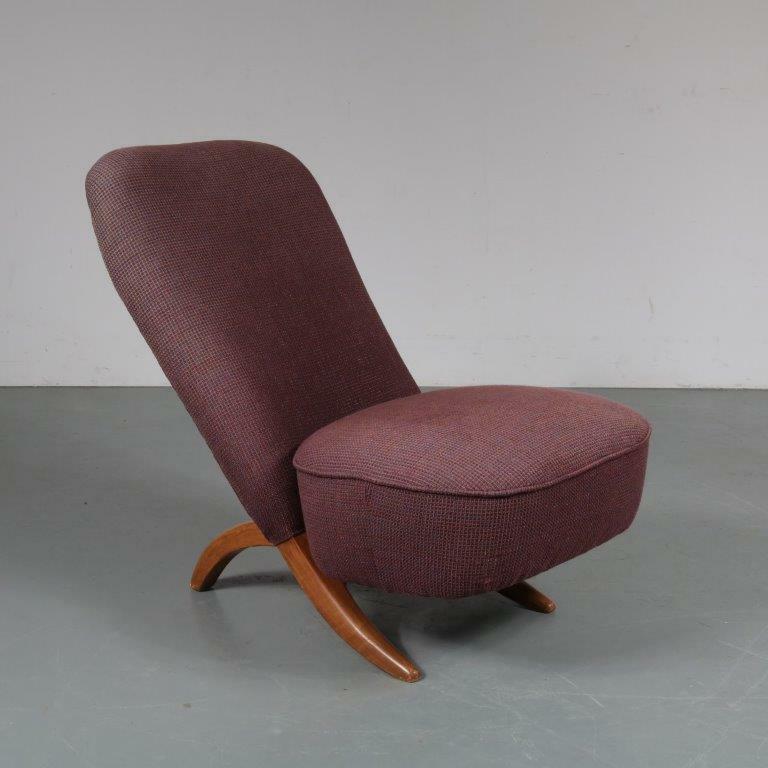 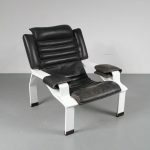 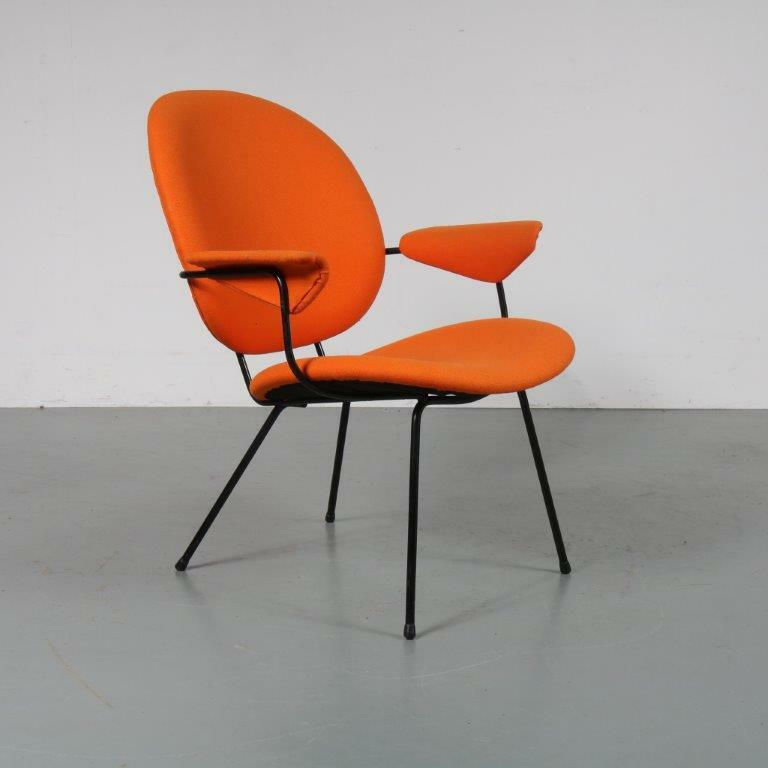 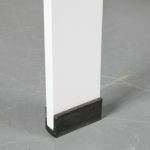 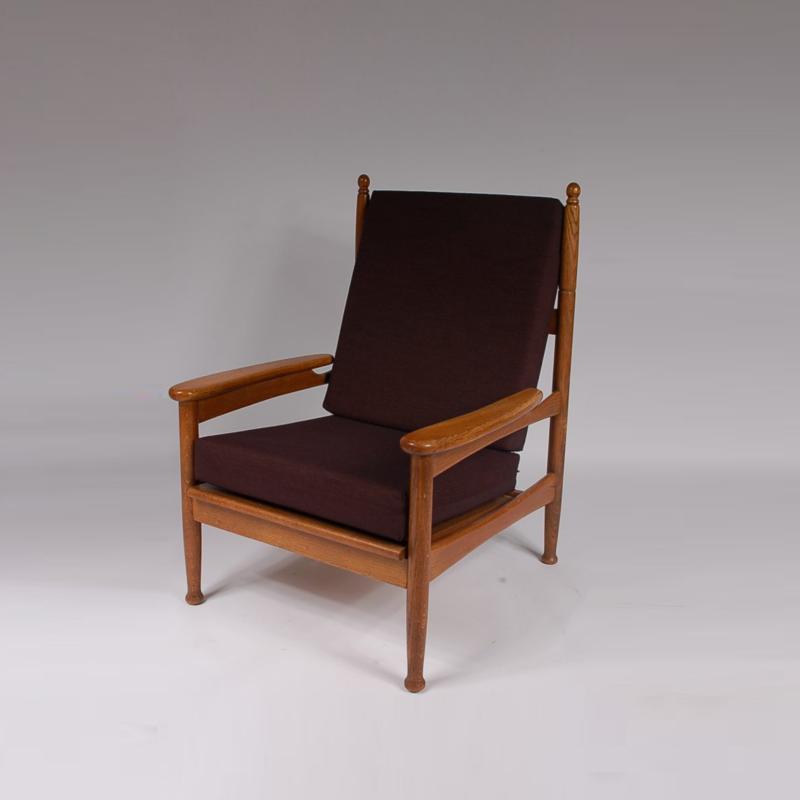 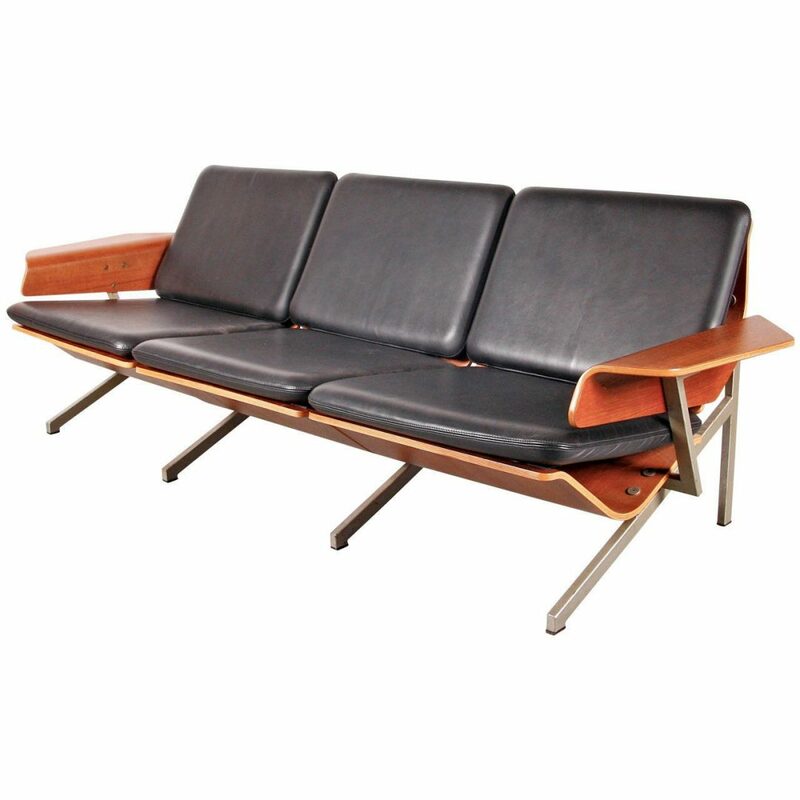 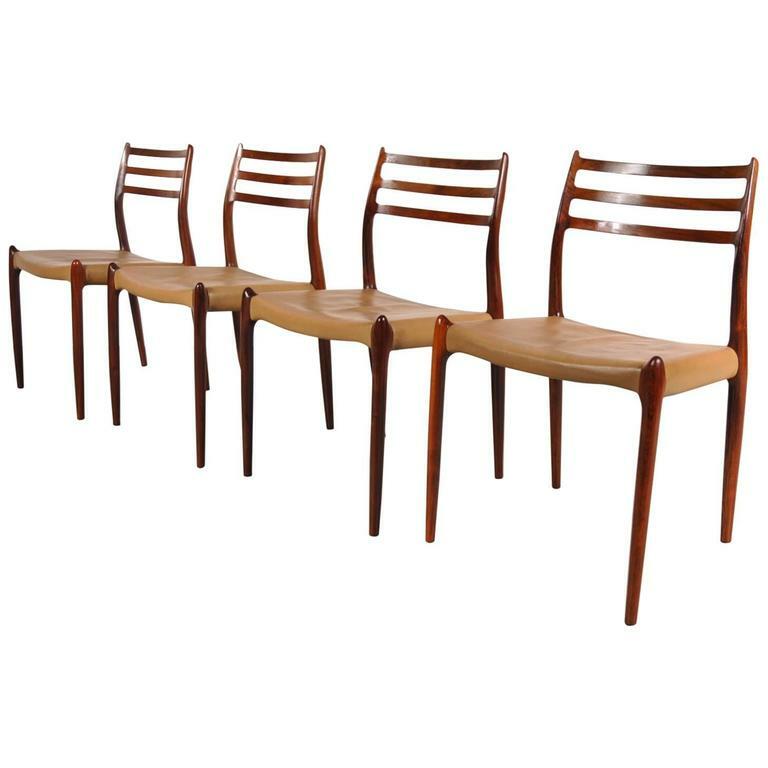 This piece would make a beautiful eye-catcher in any decor, bringing a unique peice of design history to the interior!